Of course, you cannot read another person’s mind; so let’s imagine what he is smiling about. Now what kind of imagination will you have? Any imagination is possible, as it is just an imagination. 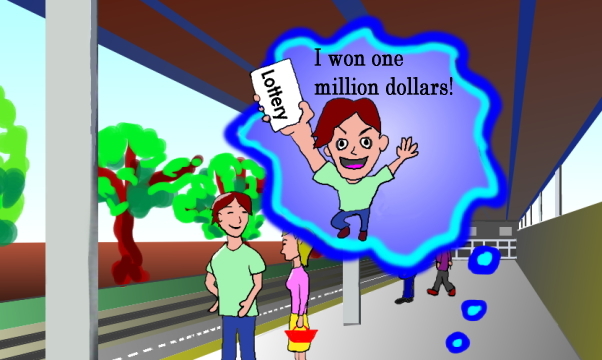 For example, he is smiling because he won the lottery. Isn’t it fun to imagine?